Ideally situated in the heart of Old Nice, near the place Masséna, in 5 minutes on foot of the beach, in the 3rd floor of a typical building of Nice (without elevator), giving onto the boulevard Jean Jaurès. (For info, you can go on the website www.plan-nice.org site (then click vidéorama, then on the spot Masséna-bld Jean Jaurès)) to have an idea of the place ). The studio is air-conditioned (outside joiner's workshops double glazing). I loved my stay in this apartment. Location was excellent, tram stop just metres away, supermarket 5 minute walk,a lovely, easy walk through the Old Town to the beach, overlooking the new park (when completed) and most importantly - next door to the famous Fenocchio's ice cream shop! Apartment itself was compact but had everything you need. The balcony was an added bonus - I enjoyed talking to the little bulldog on the adjoining balcony. Air conditioning was an added bonus, and quite rare in Nice apartments. Overall, I loved it and can't wait to return to this great little apartment. "My wife had a great time in this apartment. Apartment has great location - in the old city with good infrastructure and very close to seaside and beaches. The apartment is very comfortable and has all necessary for life. The owners are very nice, friendly, attentive and helpful people. She highly recommends this apartment and will stay there next time with pleasure." 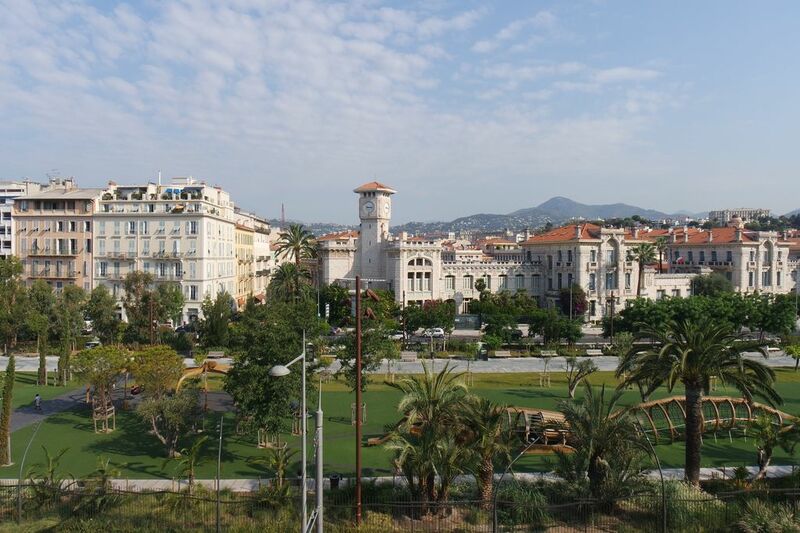 "Studio and its location is really nice(like in paradise:) - you will find yourself living wright in the hart of Nice. Thank you Mr. Bruno, hope to rent your flat again." Un petit pied à terre parfait et fonctionnel. La climatisation est très appréciable et la proximité de tout a rendu cette semaine magnifique. Nous connaissions déjà le studio, il est petit mais fonctionnel et permet d'être au première loge de toutes les attractions de la ville. Train: Main station, then direct bus to "Bus station"
Airport: direct bus "Bus station"
Italian cook in "at Cosa Nostra"